In Eye 81, Jim Northover examined the corporate identity adopted by the company over the past 50 years (see ‘Trust in Modernism’). 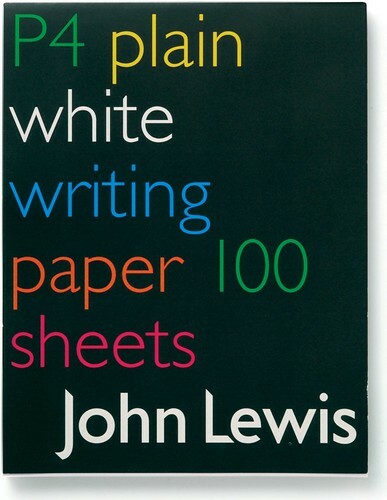 Here, we revisit his take on the retailer’s evolving typographic style. 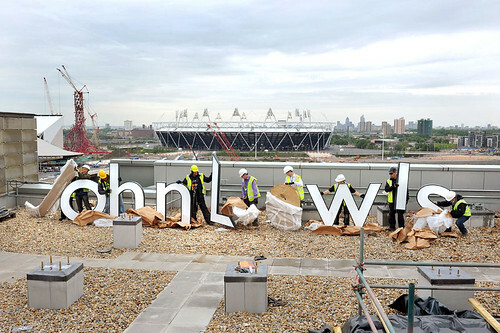 Top: Construction workers erect modified Gill Sans lettering for the new John Lewis department store at Westfield Stratford City in east London - the partnership's first custom-built store in twenty years. Photograph: Michael Walter at Troika, 2011. 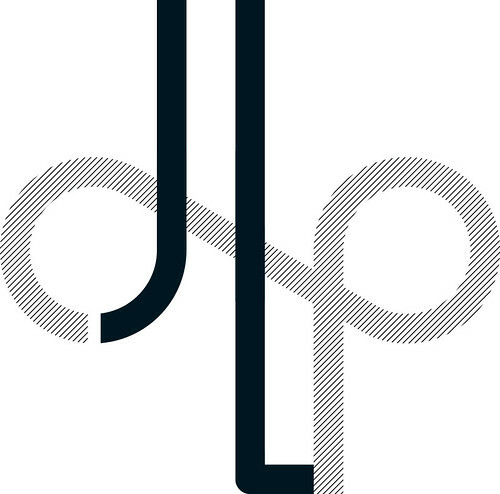 Above: JLP Logo designed by Hans Schleger (aka Zero), 1960s, entwines the letters of the company's acronym. An article in the in-house magazine, Partnership Gazette, described the process: ‘The problem was how to link them, to make ot just a monogram, but a symbol that would express something of the special unifying character of the Partnership’. Below: Diamond shaped bags designed by Peter Hatch, 1960s. 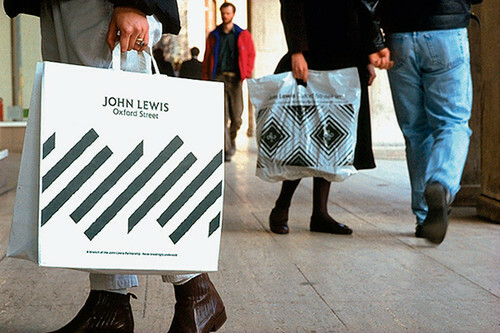 Above and below: Lloyd Northover’s 1989 identity for John Lewis linked its department stores and Waitrose supermarkets by introducing a diagonal stripe motif. 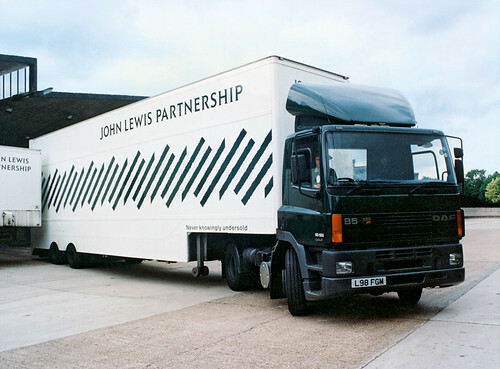 The design was used at different scales throughout the business, from trucks to carrier bags, and even as a security pattern on customer account statements. Company and store names were set in Elan capitals. Above: External signage, 2003. 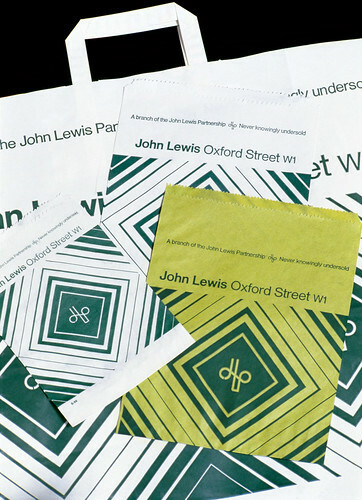 Example of John Lewis identity design from the John McConnell era. Design: Pentagram. Above: Writing paper. Design: Flo Bayley, 2003-04. 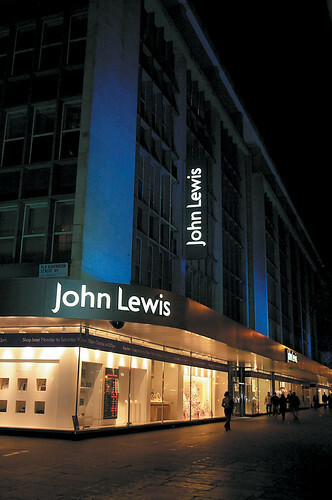 Example of John Lewis identity design from the John McConnell era. Design: Pentagram. 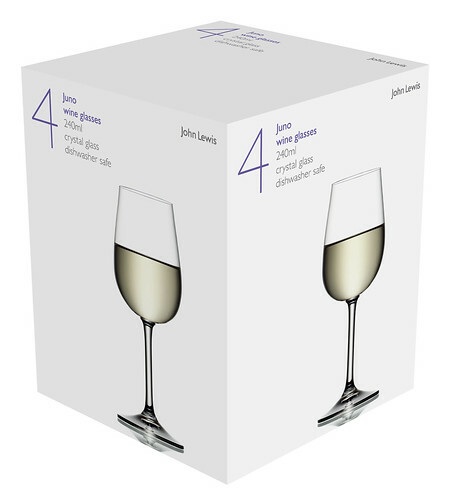 Below: Packaging (2011) for the Juno glassware range, to be launched in 2012. Design: Irving & Co. Photography: David Parfitt. Eye is the world’s most beautiful and collectable graphic design journal, published quarterly for professional designers, students and anyone interested in critical, informed writing about graphic design and visual culture. It’s available from all good design bookshops and online at the Eye shop, where you can buy subscriptions, back issues and single copies. 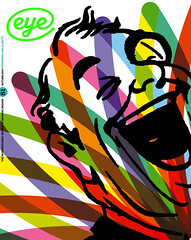 The latest issue, Eye 81, has the theme of ‘Designers and clients’. Eye 82 will be on press soon.